Raw materials often are present in sizes that are too large to be used and they must be reduced in size. It is frequently necessary to reduce for different purposes the size of solid materials in many food processes. Size reduction may aid processes such as expression and extraction or other shorten heat treatments such as blanching, peeling, and cooking. Depending on whether the material is a solid or a liquid, the operation of size-reduction can be divided into two major categories. In the case of solids, the operations are called grinding and cutting, while in the case of liquid materials, the process is defined as emulsification or atomization. The key factor is represented by the reaction to shearing forces within solids and liquids. The generic term comminution, used for size reduction, includes different operations such as grinding, crushing, mincing, milling, and dicing. Grinding and cutting reduce the size of solid materials into smaller particles by using a mechanical action. For example milling of cereals is an application of grinding extensively used in the food industry (milling of grain to make flour or of corn for manufacture of corn starch), but also dried foods such as vegetables and sugar are milled. In cutting operations, such as meat cutting for retail sales or in the preparation of processed vegetables, large pieces of food are broken down into smaller pieces suitable for further processing. Generally speaking the reduction mechanism consists of deforming a piece of food until it breaks or tears. Breaking of hard materials along cracks or defects in their structure is achieved by applying several different forces. In a comminution operation several different types of force can be applied together. cutting forces can produce a definite shape and a definite particle size. Fracture is the main mechanism to reduce size of materials in the grinding process. A local stress, which is initially absorbed internally by the material as strain energy, is generated by mechanical moving parts in the grinding machine. When this local strain energy exceeds a critical level (plastic deformation zone, which are a function of the material), fracture occurs along lines of weakness, always present, and the stored energy is released. Some of the energy is taken up in the creation of new fracture surface, while the greater part of it is dissipated as heat. Material will also fracture at lower stress concentrations in case of prolonged action, meaning that time also plays a part in the fracturing process. The energy required depends upon the hardness and friability (the tendency of the material to crack) of the material. The breaking mechanism is driven by the mechanical resistance of the material (elastic and plastic properties), defined as all the properties that describe the behavior of a solid material as it deforms and breaks under the influence of an applied stress. The deformation of a certain food material can be elastic (the material returns to its original shape when the force is removed, and the parameter describing the elastic property is the Young modulus) if the applied stress remains below a limiting value. If the stress exceeds the elastic limit, then the material shows permanent (inelastic) deformation until it reaches the yield point. At this point it begins to flow (region of ductility) under the action of the applied stress until it finally breaks. This process defines the elastic stress limit, yield stress, breaking stress, and the region of ductility. the amount of new surfaces formed by grinding. Grinding is perhaps the most inefficient of the traditional unit operations, so that it is important to use energy as most efficiently as possible. formation of new fissures or crack tips followed by fracture along these fissures. Several factors strongly influence elastic and inelastic properties of a given food material, like moisture content and the distribution of water. Moreover, these properties are often strongly anisotropic, with various layers or parts showing extremely different mechanical resistance properties. The framework is further complicated by the effect of the rate with which the stress is applied on the properties of materials: if the stress is applied slowly, some materials are plastic and ductile, while they can be elastic or brittle if the stress is applied by impact. Consequently, it is not possible to describe theoretically or to provide the parameters needed to design a size reduction operation for a food material. These parameters must be determined experimentally. where σ is the interfacial energy of the surface and A is the surface area. 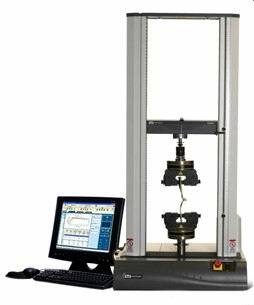 The minimum work of distortion can be measured by placing a sample in tension (or compression) in a machine (such as an Instron testing machine) that simultaneously measures both the applied force and the elongation up to the breaking point. The breaking energy required can be evaluated by finding the relation between force vs. elongation and measuring the area under the curve between zero elongation and the maximum elongation Δ(x). During the grinding process, the particles undergo many elastic or plastic deformations that do not exceed the breaking stress and consequently do not cause breakage. These deformations however require work, which is entirely thermally dissipated and somehow wasted except for newly formed cracks that facilitate breakage on subsequent impacts. Only 0.06–1% of the energy in grinding is used to create new surfaces. The remaining energy is dissipated as heat in the product and equipment, and high temperatures may result. Following theoretical considerations, we can assume that the energy required to produce a small change in the size of unit mass of material can be expressed as a power function of the size of the material. where dE is the energy differential, dx is the change in size, K is a constant, n is the power value and x is the particle size. Equation (2) is often referred to as the general law of comminution and has been widely used to derive more specific laws depending on the application. It has been developed based on the evaluation of the energy required for causing deformation, creating new surface, or enlarging cracks. Rittinger’s assumption is based on the hypothesis that particles do not deform before breaking, therefore being infinitely brittle. Rittinger assumed that the energy required for size reduction is directly proportional to the change in surface area, and not to the change in length. where E is the energy per unit mass required for the production of a new surface by reduction, K is called Rittinger’s constant and is evaluated for a particular equipment and material, x1 is the average initial feed size, and x2 is the average final product size. Rittinger’s law has been found to hold better for fine grinding, where a large increase in surface results. Kick assumed that the energy required for a given size reduction was proportional to the size reduction ratio, and consequently assumed 1 be the value of the power n.
Kick assumed that the energy required to reduce a material in size was directly proportional to the size reduction ratio dL/L. In such a way, by integration of Eq. (2), Kick’s law is obtained. where x1/x2 is the size reduction ratio. Kick’s law is more accurate for coarser crushing where most of the energy is used in opening fractures along already existing cracks. It implies that the specific energy required to crush a material, for example from 20 cm down to 10 cm, is the same as the energy required to reduce the same material from 4 mm to 2 mm. Bond (1963) proposed a third version of the comminution law, considering that the work necessary for reduction was inversely proportional to the square root of the size produced. where x1 and x2 are measured in micrometers and E in kWh/ton, K = 5Ei, where Ei is the Bond Work Index, defined as the energy required to reduce a unit mass of material from an infinite particle size to a size such that 80% passes a 100 micrometer sieve. The Bond Work Index is obtained from laboratory crushing tests on the feed material. Bond’s law holds reasonably well for a variety of materials undergoing coarse, medium and fine size reduction.